A few nature notes: a reminder of why we campaign? Out in the open, the wind chill factor made it a bracing early morning yesterday. But the sky was clear and the sun shone in intervals so in sheltered areas it made for enjoyable field work. 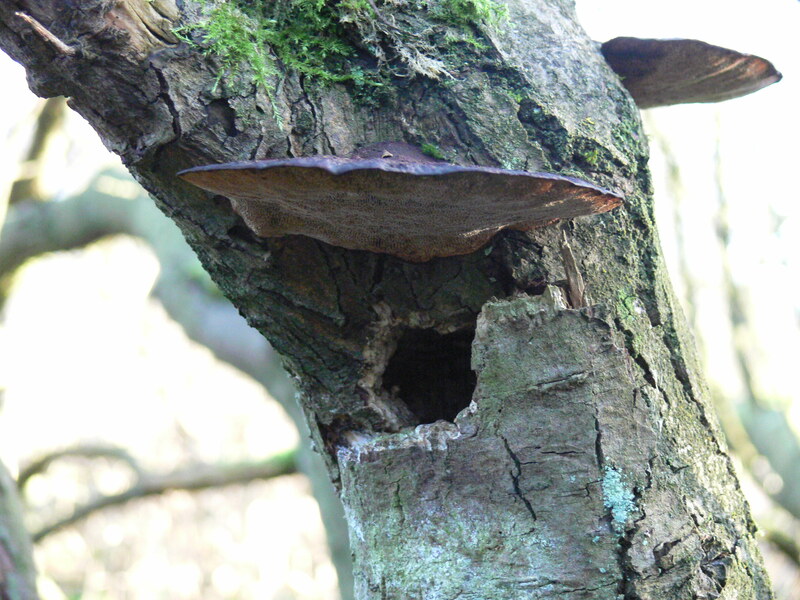 The recent spells of damp and warmth had contributed to quite a bit of recent fungal growth. 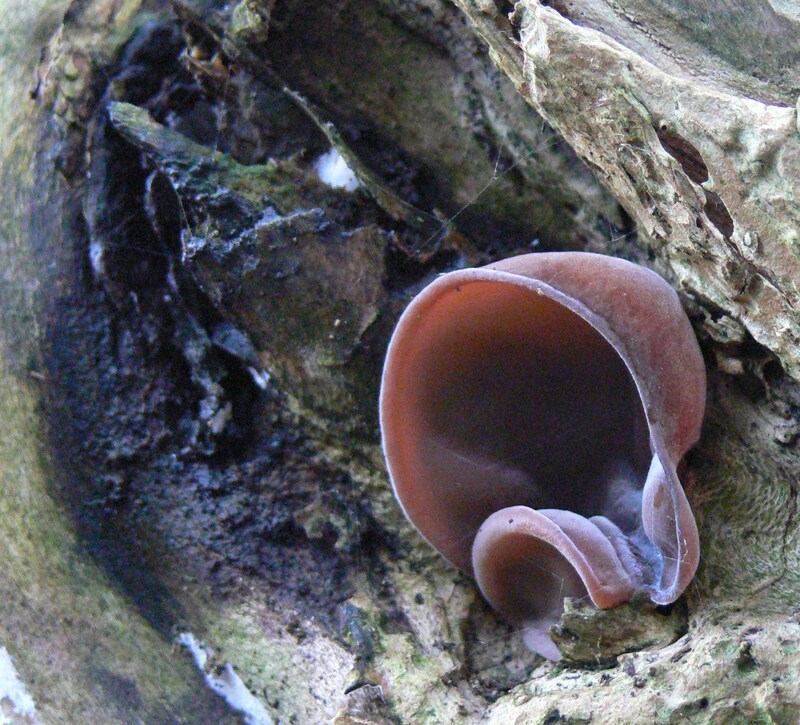 The image below illustrates well how the species came to get ‘ear’ as part of its vernacular name. 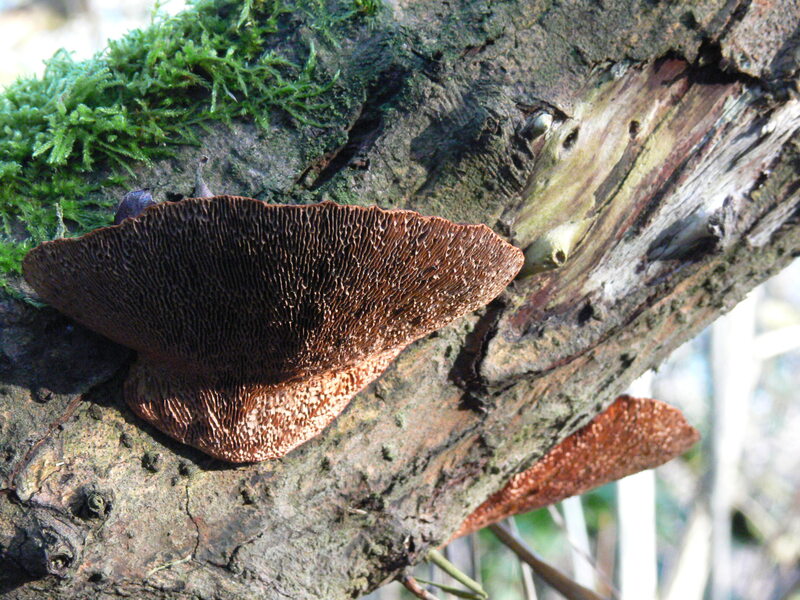 That above shows the gelatinous nature of the species and also how its form changes through the growing season. Now this one is the ‘homework’ …. The two images above show a bracket species still being determined (suggestions welcome to execsec@thmcf.org), the species was plentiful on willow and numbered a few specimens to a row. The third image shows the bracket being used as a porch to someone’s home? 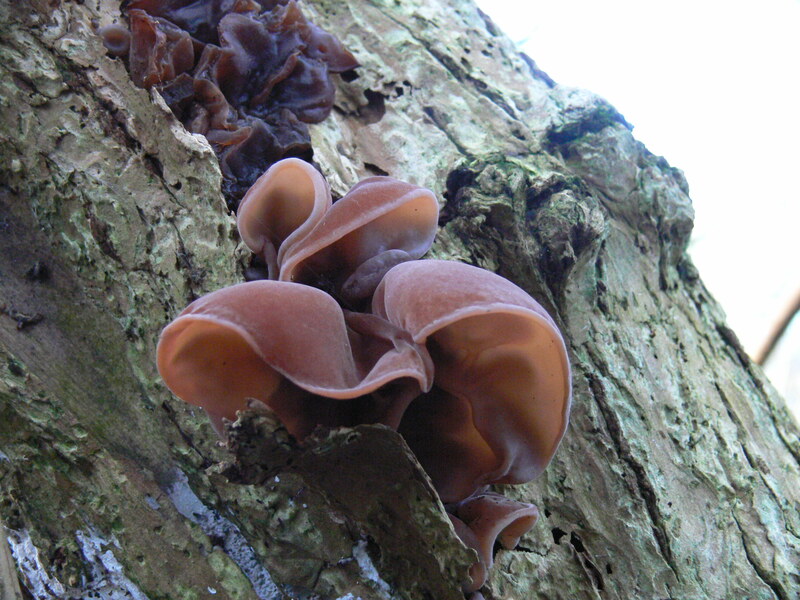 Exidia glandulosa (below) recorded from the same area in October 2012 is another ‘jelly fungus’ or to use its vernacular name, ‘Witches Butter’ s and which in contrast to A. auricula-judae is black and can be found in the same type of habitat. A. auricula-judae is generally found on Elder but can also be found on other tree species. 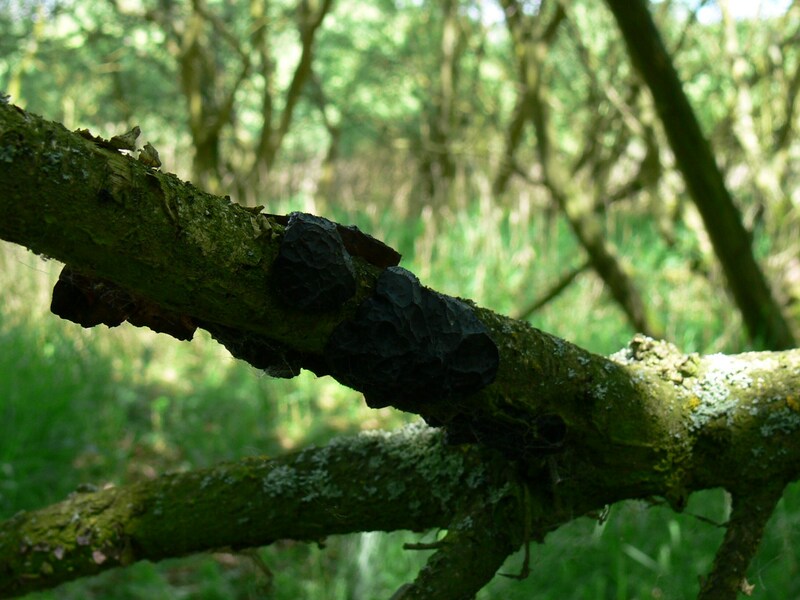 Witches Butter is found on dead deciduous trees or dead limbs of living trees as above. Click on the image and zoom in to see the detail. Xylaria hypoxylon was another species abundant amidst moss covered rotting stumps. Again, it is another species with a delightful vernacular name, that of “Candle Snuff” and it is not hard to see wherethe name was derived from? 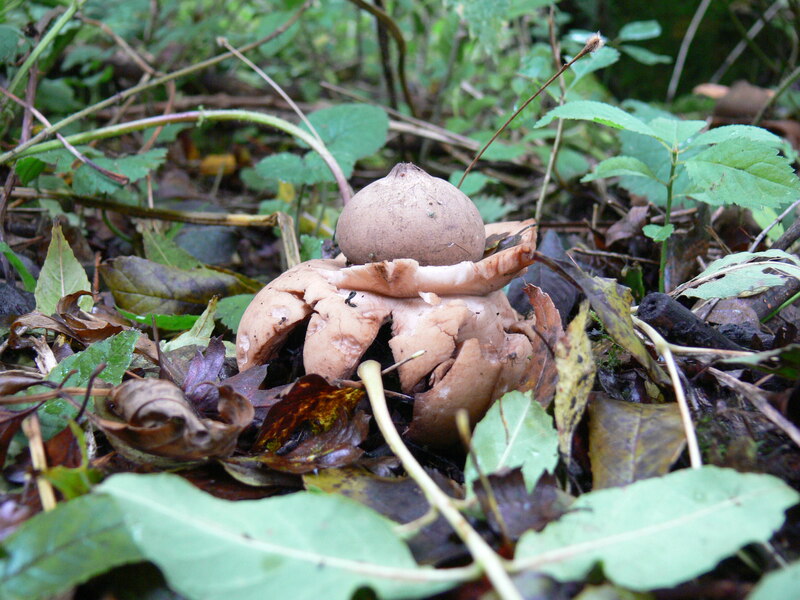 Another older record from October 2012 in the same general area was that I tentatively identified as Geastrum triplex (below), an excellent find from my perspective because I do not consider myself a mycologist but they are quite stunning specimens, my notes showed that I located four in various stages of growth. 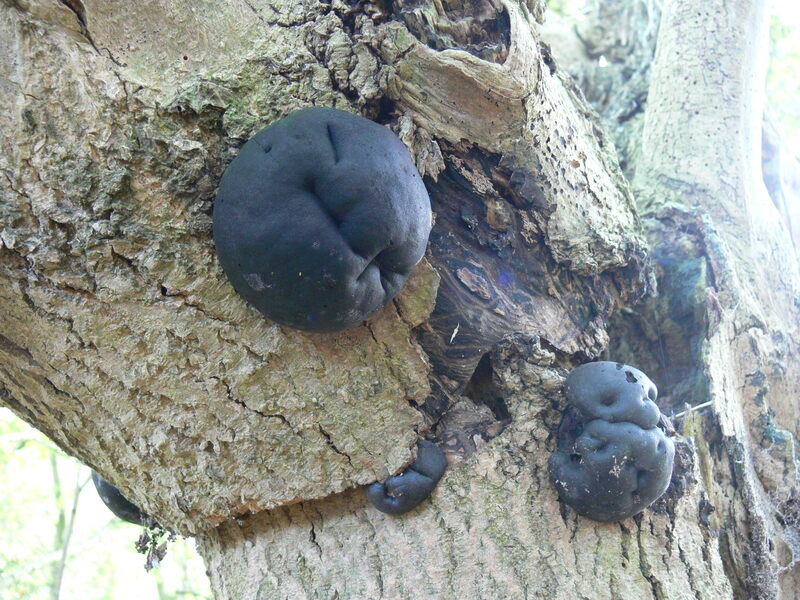 Again in the same area, October 2012 was Daldinia concentrica (below), another species with a few delightful vernacular names such as King Alfred’s Cakes and Cramp Balls. Whilst investigating dead wood for hibernating invetebrates, a gathering of perhaps ten maybe a dozen Silpha atrata were discovered well into the sodden rotting fibres of a willow limb laid where it had fallen and which was gathering a covering of moss where it touched the ground. This snail eater is regularly encountered on and around the Thorne and Hatfield Moors peatlands and associated habitats. Nothing special in terms of the data but the outdoor session recharged batteries and acted as a reminder why we campaign for the continued conservation of important sites like Thorne & Hatfield Moors SSSI. 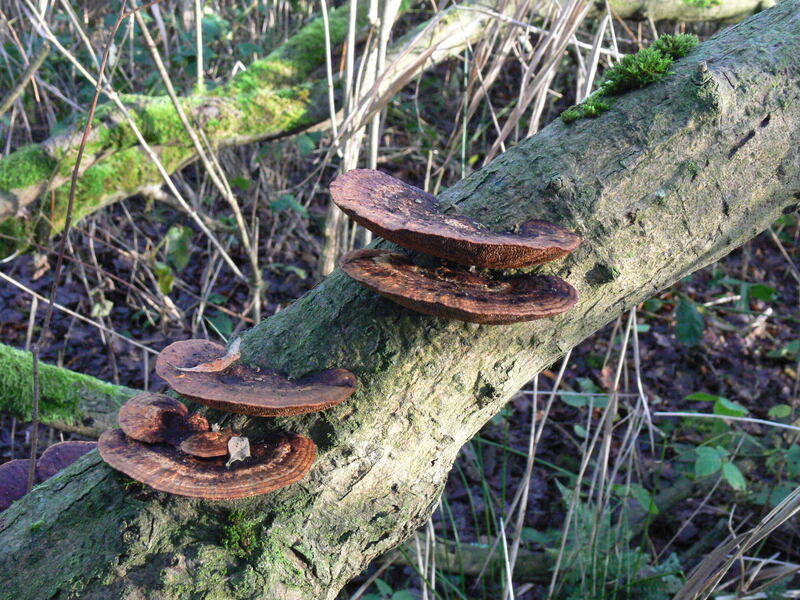 The area where this array of fungi were located is not part of the mass manicured NNR, because it is in private ownership it is not managed for the benefit of the public but the ‘wildlife’. That is not to say that people are excluded, but they are not the priority. We are privileged, generally, to be able to discover and observe, to record our findings in the hope that the various statutory agencies will ensure continued protection against inappropriate developments which may have the potential to impact (significantly or otherwise) upon the integrity of Natura 2000 sites and SSSIs. Posted in Executive Secretary | Comments Off on A few nature notes: a reminder of why we campaign?